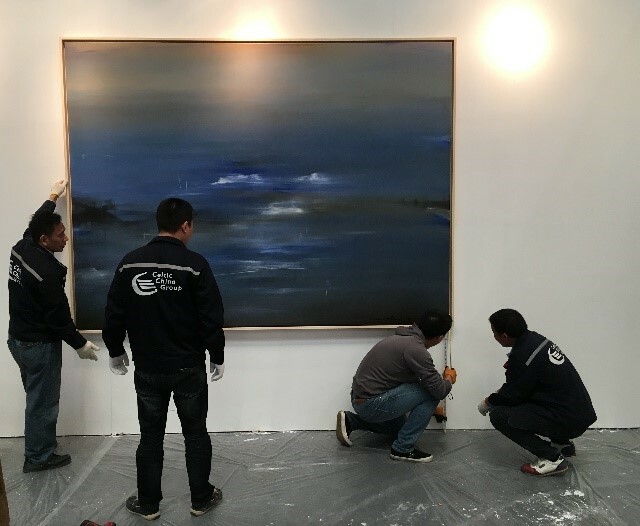 This weekend at Shanghai World Expo Exhibition & Convention Center took place the Shanghai Art Fair. Every year, this major event brings together works of art from more than 20 countries, organizations and various art galleries from all over the world. 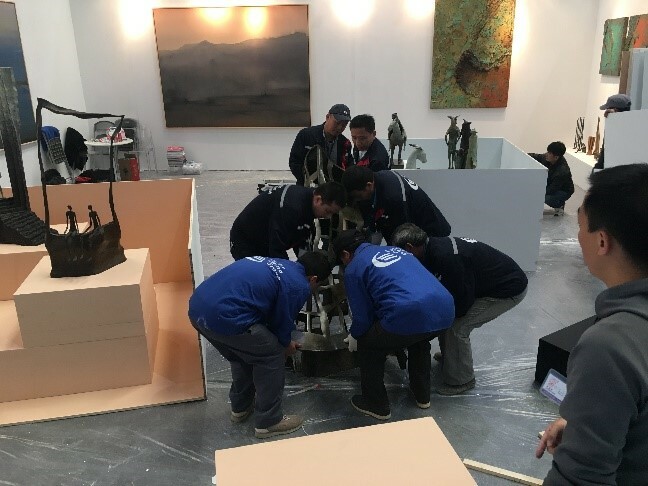 To celebrate the 20th edition of the exhibition, Celtic oversaw the transportation, packing and installation of three different artists’works, usually exposed in Philippe STAIB’s gallery in Beijing. The commitment of Celtic was particularly significant as we all had in our minds the terrible and sudden loss of the artist VAL. The Art & Event logistic team was here for this opportunity and has carefully prepared the exhibition. 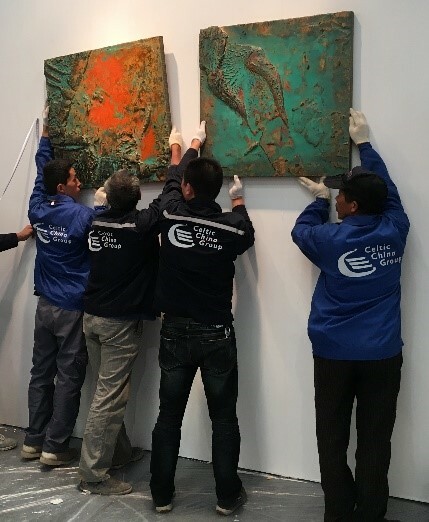 The installation of more than 40 art works including paintings and sculptures required the technical expertise and special care that Celtic is proud to offer to its customers. 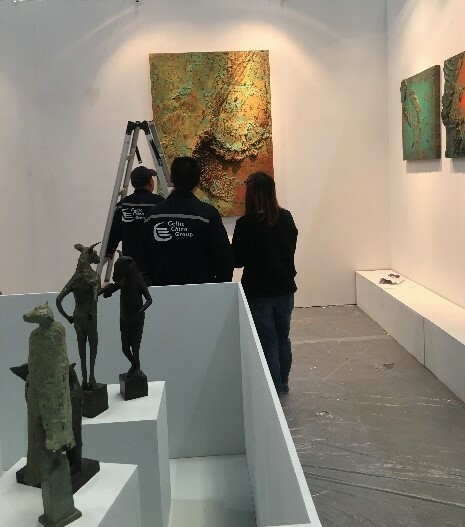 A successful mission that has attracted many people to admire the work of Copper, VAL and Shiau Jon-Jen the whole weekend.